Home / Celebrity / Nomzamo Mbatha / Nomzamo Mbatha Named KO-KO’s 2017 Woman Of The Year! Nomzamo Mbatha Named KO-KO’s 2017 Woman Of The Year! 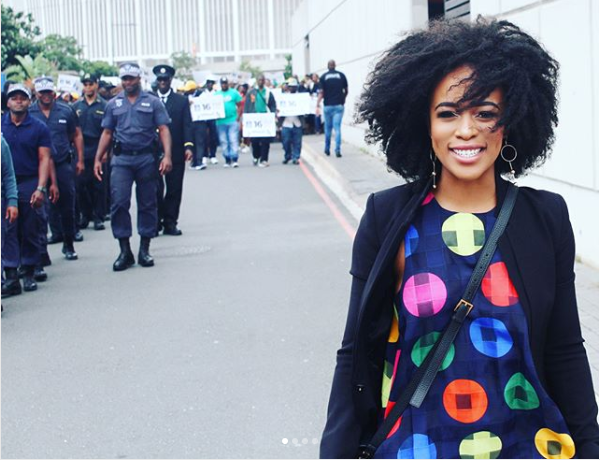 Nomzamo Mbatha Named KO-KO’s 2017 Woman Of The Year! With everything she has achieved this year, the actress is ending off the year on a crazy high having been named Woman of the Year 2017 by a UK based African magazine. “Me? 2017 WOMAN OF THE YEAR? WOW… Friends, 2017 was perhaps one of the most challenging, yet rewarding years of my life & career. But God knows my well of gratitude does not run dry…,” Nomzamo wrote.